We understand that most people do not want to wait several weeks for a specialist appointment, particularly if they are anxious about their condition. We have a dynamic appointment system that allows us in most cases to see new patients within 2 weeks. Urgent new referrals can usually be accommodated on the same day or next day, on request from your GP. In Australia, anyone is entitled to make an appointment to see a specialist. However, in order to receive the full Medicare rebate for your visit to assist covering the cost, a valid referral from a medical practitioner is required. A referral from a general practitioner is valid for 12 months from the day it is activated (the first consultation with the specialist), unless indicated otherwise. A referral from another specialist (for example paediatrician, immunologist, ophthalmologist, neurologist or another ENT specialist) is only valid for 3 months. General practitioners work hard to develop a thorough understanding of your health concerns, and can convey a good deal of information about your medical history (including allergies and medications) in a succinct manner via a referral letter, which consequently helps us approach your ENT health problem in a wholistic manner. In addition, a referral requires a specialist to write a report back to the referring GP, with clinical findings and a management plan. This two way communication helps ensure an up to date treatment plan for your health problems. Please note that medical practitioners cannot legally provide a backdated referral letter after the specialist consultation, so it is important to ensure you have a valid referral before being seen, if you wish to claim the Medicare rebate. Our staff will advise you if your referral is due to expire before your next appointment. A referral from a dentist or audiologist is also valid. We are also happy to see patients who may not be eligible for Medicare, including visitors who may have overseas or travel insurance. For your convenience, we have provided registration forms that are required for new patients at our practice. You can download, print and complete these forms at your convenience, in order to save time at your appointment. Our current fees will be discussed with you at the time you call for an appointment. Generally there is a fee for the consultation (including the report sent to your GP or other treating specialist), and additional fees may apply for any procedures undertaken, including cleaning of ears, hearing assessments, and endoscopic examination of the nose or throat. We do ask for full payment on the day of consultation. For your convenience we offer EFTPOS and credit card (MasterCard and Visa) facilities. 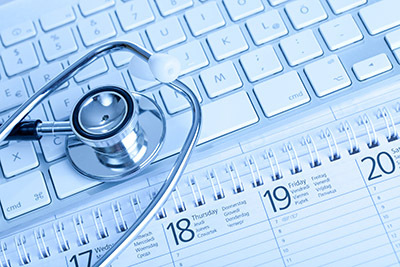 We can submit a claim to Medicare electronically, on your behalf, at the time of payment. If you have registered your bank account details with Medicare, the rebate will generally be deposited into your account within 48 hours. We offer a discounted rate for aged pension card holders. Department of Veterans Affairs card holders (with appropriate entitlements) will not incur any out of pocket expense. This practice abides by the principles set out in the Privacy Act 1988 and the Privacy (Private Sector) Ammendment Act 2000, as well as the Code of Fair Information Practice (2006) produced by the Department of Health, Government of South Australia. It is necessary for us to collect personal information from patients and sometimes others associated with their health care in order to provide for the highest quality health care, and for associated administrative purposes. Health information is ‘sensitive information’ for the purposes of privacy legislation. This means that your consent is sought to collect health information that is necessary to make an accurate medical diagnosis, prescribe appropriate treatment and to be proactive in your or your dependent’s health care.